This two ingredient flatbread made from rice flour will become your favourite recipe if you are into healthy eating and easy cooking. It fits a lot of diets and is a great option for those who are looking for wraps and breads recipes, that are vegan and gluten-free. You only need two ingredients: rice and water. It tastes comforting like any bread, and even though its flavour resembles rice, it can be paired with a variety of dishes. It takes a bit of practice to achieve a perfect shape of your flatbreads, but don’t worry, once you taste it you’ll keep making it all the time and you’ll improve your skills faster than you can imagine. Step 1. Boil two cups of water. Step 2. Start adding rice flour to boiling water (on a low-medium flame), one spoon at a time, and keep stirring the mixture. Slowly it should resemble a dough, but make sure that there are no lumps formed in the process. Step 3. When all the water is absorbed, take as much as you can handle with one hand and start kneading it. You’ll need to keep kneading it for about 5 minutes, until it becomes very smooth. Step 4. Divide the ready dough into equal portions. Take each portion, one by one, and roll it into a round flatbread, it should be about 3 mm thick. Step 5. Heat a pan and cook your flatbread for about 30 seconds on each side. Make sure to not overcook it, as it will become too hard. Take a spatula and dab it on the sides of the flatbread to make sure it is eveny cooked. When the flatbread starts to “balloon”, it means it’s being cooked nicely. 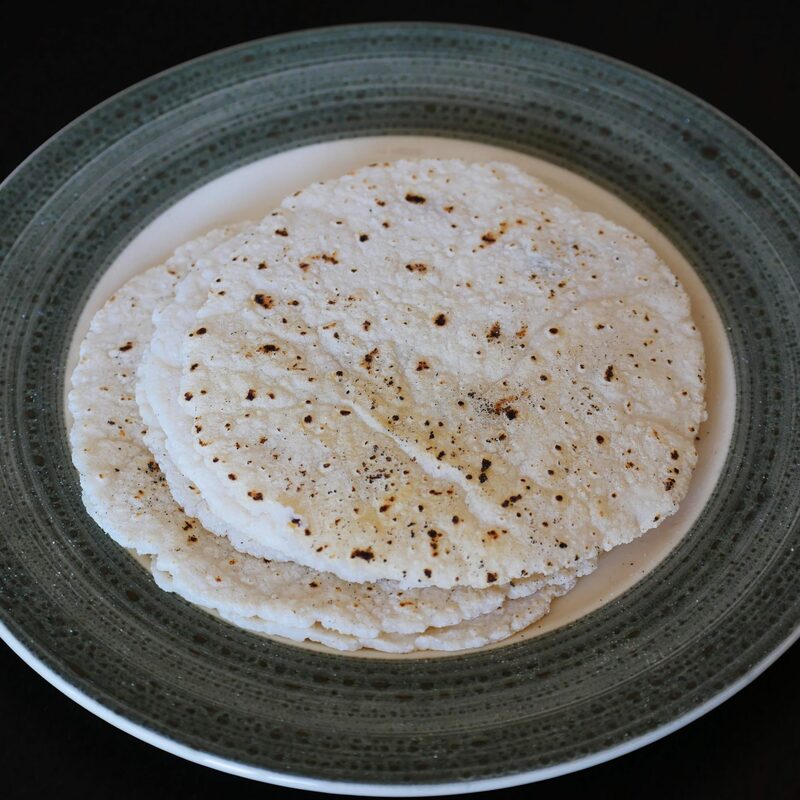 If you want to enjoy your two ingredient rice flatbread the next day, smear it with a bit of olive oil or ghee on top, so that it remains soft.